Happy New Year everyone! I hope you all had a wonderful time. As for me, I was cozy and snug in my bed, the days of seeing in the new year are long gone for me. That's what small children do to you! To start the year, I'm excited to show you a brand new shade from Picture Polish. 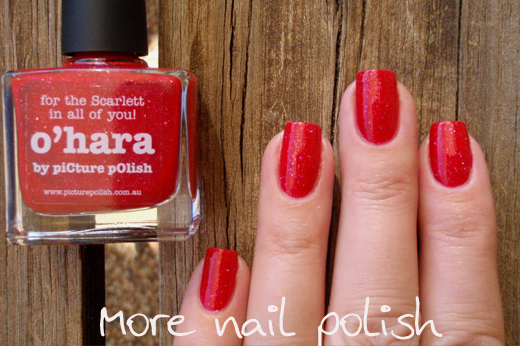 O'hara - for the Scarlett in all of you! That's the little catch phrase on the top of this bottle. Is there anyone out there who doesn't know who Scarlett O'hara is? Well, Scarlett O'hara is the protagonist in the novel Gone with the Wind. I've not read the book, but I certainly remember seeing the movie when I was in my teens. I still recall the last words Rhett says to Scarlett - do you? 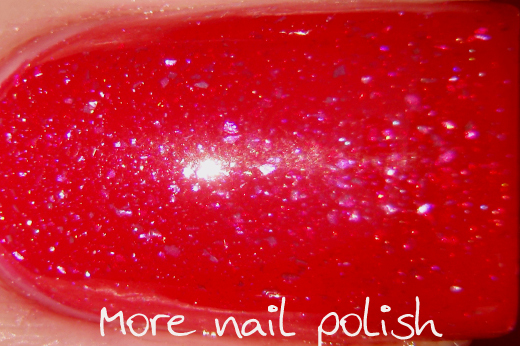 This is the brightest scattered red holo polish I've ever seen. The formula on this is just like Kryptonite and Cosmos with the same shard like scattered holo pieces. The red base is so amazingly bright, it's a blazing cherry red. This one isn't as much of a jelly as kryptonite and cosmos, I'd say it's more of a crelly (a cross between a creme and a jelly). The holo bits shine through easily but it's opaque in two coats. These pictures are two coats with a coat of Seche Vite top coat. Formula was great and I didn't need to do any clean up for these photos. 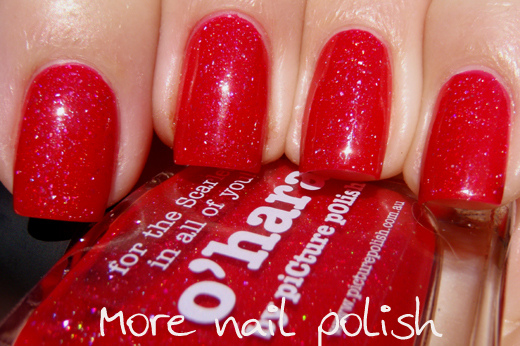 O'hara will be launching later this month, so make sure you like the Picture Polish facebook page to find out when it's available. So beautiful. Oh It's so pretty. I want it! can't wait to get my paws on this !! 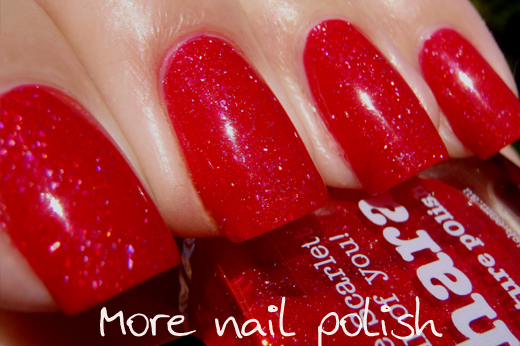 I don't even like reds that much, but I LOVE this! So pretty! That's stunning! Happy New Year!